A coaching manual focusing on small sided games has never been so relevant and applicable as it is today. The short and long term effects of the U.S. Soccer's Player Development initiatives are far reaching, impacting all youth clubs and coaches. Arguably the most significant decision in a decade, the youth soccer landscape is changing rapidly for coaches and administrators. Coaching 4v4, 7v7 & 9v9 Small Sided Soccer is an ideal resource for coaches working with 6-12 year old players and includes 42 coaching activities expertly illustrated in full color. Although these game formats are particularly for coaches teaching 4v4, 7v7 and 9v9 game formats, this manual is highly relevant to coaches, administrators, leaders and directors involved in youth soccer. Serving Soccer with Latest Conditioning Information for over 20 years! Learn From Top Soccer Conditioning Experts! >Prevent injury through progressive training and proper movement skills. 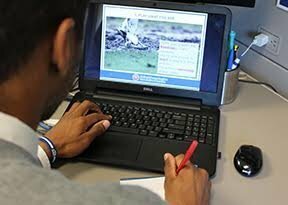 >Latest recovery methods and nutrition practices to insure player freshness. >Small sided games, circuit training that improve skills and endurance. >Time efficient warm-ups to get the most out of your practice sessions. >Improve balance, ball control and kicking power. >Article coding indicating beginning-intermediate or advanced levels of training. >Plus field testing and pre-off- in-season training. 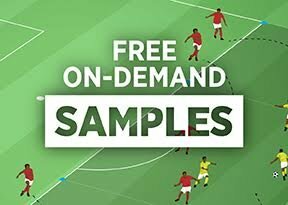 40 new activities covering: Attacking combinations close to goal, building play from the defensive third, small group possession, passing over medium and long distances, position training - attacking midfield, defensive organization, high and low pressure defending and transition to attack. A coaching course focusing on small sided games has never been so relevant and applicable as it is today. The short and long term effects of the U.S. Soccer's Player Development initiatives are far reaching, impacting all youth clubs and coaches. Arguably the most significant decision in a decade, the youth soccer landscape is changing rapidly for coaches and administrators. 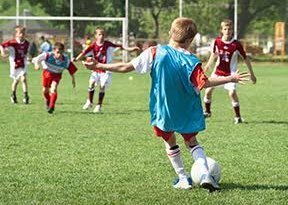 Coaching 4v4, 7v7 & 9v9 Small Sided Soccer is an ideal resource for coaches working with 6-12 year old players and includes 42 coaching activities in pdf and video formats. 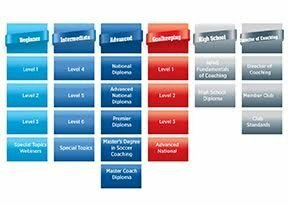 To assist coaches choose the right activity based on the ability and readiness of players, we have included the 'Competency Matrix' from the NSCAA Player Development Curriculum. For each activity we have identified the most appropriate Stage/s of Development and listed the primary performance competencies. This series explores the five principles of attack, namely penetration, width, support, mobility and improvisation. These concepts are detailed in 4 dynamic 20-30 minute presentations facilitated by Ian Barker, United Soccer Coaches Director of Coaching Education. Each session includes 5-6 activities to improve your teams attacking success. If you are a Coach, Professional Educator or Club Director you will not want to miss this opportunity to learn from best practice and achieve professional development credit! Participants registering for the complete volume will receive a Special Topics Diploma and 23 printable, full color activity plans suitable for players 8 and older. A perfect resource for coaches wishing to develop technically proficient players. Includes 60 expertly illustrated activities covering topics such as passing, first touch and speed of play, futsal, technical warm-ups, 1v1 to 3v3 transition, defending and creativity. 6 top educators provide and invaluable coaching tips for the novice and professional coach alike. Designed for the coach and parent of the young, developing soccer athlete-ages 8-16. >Level 4 - The Next Level- advanced conditioning progression based on the development of the young soccer player. All this plus special features, interviews, nutrition, recovery, injury prevention and more all geared to the young soccer athlete. This series explores the five principles of defense, namely pressure, cover/support, balance, delay and compactness. These concepts are detailed in 4 dynamic 20-30 minute presentations facilitated Ian Barker, NSCAA Director of Coaching Education. Each session includes 5-6 activities to improve your teams defending success. If you are a Coach, Professional Educator or Club Director you will not want to miss this opportunity to learn from best practice and achieve professional development credit! 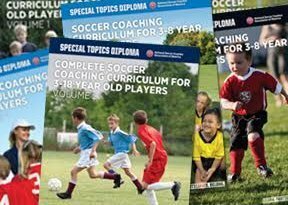 Participants registering for the complete volume will receive a Special Topics Diploma and 23 printable, full color activity plans suitable for players 8 and older.